The aim of the assignment is to demonstrate your understanding of how a global corporation strategically manages its marketing operations across global markets and cultures. Context: You work in a marketing consultancy. It is your job to prepare a report to the Dean of the Business School on your outline plan for entry into Vietnam with programmes of study. You are to produce an outline marketing plan for entry into either country. See assessment requirements below for some ideas of indicative content. Ensure your country/segment is different from the other members of your group – no collusion or plagiarism. This business report should have a minimum of 6 sections and be logical, well-researched using Harvard Referencing. It should be written objectively with evidence based discussion. You are advised to use a “Marketing Plan” structure. 3. Outline an action plan which includes standardised and adaptive strategies, where necessary and relevant marketing theory. Summarises the key points already made and link to the task set. NO new information. Give full details, following CASE Harvard Referencing guidelines. 6. Appendices must be linked to the body of the work – do not include if not referred to. The following a marketing plan for entering the Vietnamese market. There will be several issues covered, including the market and product analysis, external analysis, an internal analysis, and an action plan. Then there will be conclusions. The Vietnamese market is a terrible one to enter, in short. There has to be a better market. While the market is large in population, and its wealth is growing, the average Vietnamese cannot afford to pay tuition for Western-quality higher education. The actual size of the market, which would consist only of wealthy Vietnamese students who cannot get into Western schools, is quite small. The report will outline the size of this market, and how best this market can be reached. The product we are selling is higher education. The business school proposes to enter the Vietnamese market with numerous courses of study. There are two products – a baccalaureate degree and an MBA, that are options for this market. The MBA has the best chance of success, because the market for an MBA consists of professionals who are able to pay. The market is basically Vietnamese professionals in their late 20s and early 30s who are in progressive positions that give them the ability to invest in their future, but who for whatever reason lack the ability to go to the West to study there. An MBA program, or Executive MBA program, is an opportunity for experienced professionals to gain a sense of reflection about best practices in business, synthesizing their experience with theory (Roglio & Light, 2009). Because of their experience, Executive MBA students have lower barriers to success, and conventional measures such as GMAT scores are not correlated with that success (Gropper, 2007), which means the EMBA program can be offered with lower barriers to entry, though other studies contradict this (Siegert, 2010). An EMBA program typically allows students to learn with a combination of classroom and distance learning, which allows for greater flexibility in terms of time dedicated (Desanctis & Sheppard, 2010). This product attribute, if implemented, with further reduce the friction in the sales process. Students are motivated to pursue EMBA programs by a number of factors. A study of students in Hong Kong revealed that most students pay for their own MBA (Thompson & Gui, 2000). That study highlighted that the main reasons are to improve analytical ability, to learn more about business management, to get the MBA qualification and generally to get better at the job (Thompson & Gui, 2000). Satisfaction relates both to factors involving the degree itself, but also to the school, so both should be taken into consideration in the marketing program (Grady, 2010). Another product-related consideration is the international component. It is expected that Vietnamese students want an EMBA in part for the exposure to Western business practices, and that demand would be higher for a program that gave them an international business component, especially with the recent stagnation in the Vietnamese economy (Tho, 2013). Having an international component has been shown to improve outcomes for graduates on the cognitive, behavioural and attitude levels (Schuster et al, 1998). Hilgert (1995) showed that EMBA students expect to have “life changing” outcomes, and broader perspectives about the world. This tells us something about the pain points we are trying to solve with this program. The target market is generally successful in their respective fields, but having come up in Vietnam, and maybe without the benefit of formal business education, feel limited in trying to either scale their business, or to break into multinational firms and build a career outside of the Vietnamese market. This study and Thompson & Gui (2000) highlight the desire for broader perspectives in management, including formal understanding of business theory and its practical application, as main pain points that EMBA students are trying to solve. Knowing a little bit about the product that students are looking for helps when designing the course, and certainly helps contextualize the marketing via known market pain points. But there is also a need to understand the market more closely prior to entry. We know that Vietnam has a large population of 95 million, that 2/3 of the people live in rural areas, that the country has a low, but growing GDP per capita (CIA World Factbook, 2016). These figures are not bad, but neither do they make a case for Vietnam as the best choice of investment. While entrepreneurism is high in Vietnam, bureaucracy is also high. Corruption is a major issue, and Vietnam ranks 112th out of 168 countries on the corruption perceptions index (Transparency International, 2016). The government has, however, made significant investments in its education system in recent years, leading to decent scores on international evaluations (The Economist, 2013), though there remains concern about the high dropout rate. This investment in education provides a decent baseline level of knowledge, which makes Vietnamese students who enter EMBA programs in their 20s and 30s better-equipped to succeed, having already established literacy and numeracy. There is also the issue of gender in terms of the market. In general, EMBA programs are valuable for women, who perform well in these programs in terms of expected outcomes of broadened perspectives and cognitive flexibility (Hilgert, 1998). Female entrepreneurship is viewed as a pathway to economic growth, unlocking the abilities of 50% of the population that in many cultures ends up shut off from economic opportunity (Kobeissi, 2010). Female entrepreneurs have been identified as important to economic growth in Vietnam specifically (Gerrard, Schoch & Cunningham, 2007). There is definitely a market for female participation in the EMBA program, though in a country where female entrepreneurs are still expected to play traditional roles in the home, it is worth studying what accommodations need to be made in order to effectively target this market. In marketing, consideration needs to be paid to psychographics. Swierczek and Thai (2003) conducted a study of Vietnamese SME owners and found that they were primarily motivated by achievement and challenge, rather than by the necessity for a career or by economic security. Tapping into these motivations is going to be critical to successfully marketing this program to Vietnamese entrepreneurs and managers. As for reaching the market, it is worth noting that in the two major cities that drive Vietnam’s economy – the capital Hanoi and the largest city Saigon – Vietnam is an educated, wired place. Some 40% of all Vietnamese access the Internet on a daily basis, smartphone ownership is rising rapidly and as a young country where 40% of people are under 25, there is potential for further growth by targeting this upwardly mobile, connected young entrepreneur class (Davis, 2016). The business school has some strengths, in that it has been able to cultivate a positive reputation over time, and that this reputation helps it attract students. The reputation is founded on having a strong program, which relies on strong leadership, quality instructors, and good students, given the importance of teamwork in business education. The school has a quality curriculum, though it clearly would need to change a few things for the Vietnamese market. There are probably as many weaknesses as strengths right now, some of which will need to be resolved prior to market entry, and some that are less critical in nature. First, the university has never done business in Vietnam. That is a very foreign culture, with a government that has strong influence over the higher education sector – Degree 73 is just one element of that – and a high level of corruption. Vietnam is not “International Business 101”, it is a country where market entry comes with a higher degree of difficulty than most. The marketer’s role is easy relative to the role of operations. Improving our capabilities to deliver education in this regulatory regime, and to this market, at a profit point, is something that has to be given strong consideration. Another internal issue is that the competencies the school has in its home market may not transfer to Vietnam. The context is quite different, and that matters. The Vietnamese market has unique needs. Remote service delivery may be compromised by power outages for rural customers; not all students will have baseline literacy and numeracy (especially for finance and economics courses). Even among entrepreneurs, English-language skills are often sub-optimal. Despite the benefit of international business, cost may be a barrier. The school needs to have a comprehensive operational plan to overcome these issues, as well as regulatory and corruption issues. All of these problems might require the school to partner with a local educational institution for service delivery, and our business school does not have much experience with this. Not to focus too much on the weaknesses, but there is a huge learning curve to overcome, and what we do well in the home market is not necessarily going to help with that learning curve. And our name only has value as a western institution over there – if you’re not a major global school, people in countries like Vietnam have never heard of you. The market factors have already been discussed at length. Vietnam has a relatively small market for EMBA or MBA education, constrained by the state of its economy and further by stifling government regulation of the sector. There are signs for optimism in terms of the entrepreneurial drive of the culture, the connectedness of the people (especially in cities), its youthfulness and the concentration of wealth in two major cities. Saigon has a per capita GDP twice the national average, significantly greater than that of Hanoi, and HCMC is also the hub of economic activity in the country and the place with the most foreign investment (Folkmanis & Uyen, 2014). The government in HCMC is also less intrusive than in most other localities, so federal issues notwithstanding, Saigon is the clear choice for location of an EMBA program. A remote element would allow students in Hanoi, Hue and other cities to enter the program, and commute in for classroom time on a structured basis, as HCMC is well-served by flights from pretty much everywhere in the country. The external environment is only marginally positive in Saigon, but any market entry into Vietnam has to be done there. Further, the country’s factors have limited foreign competition. While there is high demand for executive education, including leadership education (Gosiengfiao, 2009), the school will need collaborative partners. HCMC has many Western firms that can contribute to this effort, as such corporate-educational collaborations have proven successful in other Asian countries for raising the standard of leadership education (Gosiengfiao, 2009). Current competitors in the EMBA market are the HCMC University of Technology, the University of Quebec – Montreal, RMIT (Melbourne) and University of Hawaii, so there are few competitors in the market at present, and none of the big global names. This represents good opportunity to build a brand in Ho Chi Minh City early in the development of the Vietnamese economy. Getting in early is actually quite important given the need to find a local partner for curriculum and course content – there are only so many of those worth partnering with, and once they have established partnerships that will be a major barrier to entry for other foreign schools. In essence, the external analysis says that if Vietnam is viewed as a good market to enter, then the timing should be as soon as possible. There are several elements of the plan. First, you need personas. There are a few – younger entrepreneurs, older managers, female entrepreneurs being three major ones. Know these people, and know their pain points so that your messaging hits those. The messaging should focus on challenge and achievement for its own sake – attract the people who want to make something of themselves, not just people who think they need an MBA. Leverage the brand – none of the three western schools in Saigon now has a particularly noteworthy brand. Use a proper CRM tool as well – there are going to be a lot of customers who want to attend but may not be able to afford to right away, so repeat communication is important. So, too, is having programs to remove friction associated with attending , be the friction child care, financing, or distance. A strong distance component is an important element of service delivery – skimming from Hanoi and Hue will help boost enrollment. Reaching customers requires marketing through both traditional and non-traditional channels. Use inbound. Become a thought leader in business education, perhaps by building a bilingual blog content with basic management tips to get the eyeballs of the curious, with this basic education as a wedge. Use mobile/social and pay close attention to what platforms the target market uses, as they may be different than in the West. Take out ads in publications that the target market reads. Have a PR campaign around the initial launch, even if demand exceeds capacity. But be adaptive. Use metrics to measure the strategies undertaken, and make decisions based on this analysis. Inbound has a long lead time, so be careful about time frames when making decisions about the effectiveness of strategies. Be flexible, because the market is evolving fairly quickly, and that brings with it the need to be highly adaptive, and not get locked into the basic strategies that accompany the launch. Have regular evaluations where everything is on the table, and make sure you have a team in place that can manage the analytics so that you are using good data. Vietnam is not the most attractive market, for a number of reasons, but market entry is certainly possible for an EMBA program. There is limited competition, and good reason to believe that the underlying demand factors are favourable. Ho Chi Minh City is the main point of entry, as the economic hub, and the location with the corporate and educational partners that we will need to effectively launch an EMBA program. There appears to be three main personas to target for an EMBA, that have both the desire and ability to pay. There is sufficient data to help create meaningful personas, and in particular to tap into their underlying motivations for obtaining an EMBA. Given these factors, it is our view that market entry into Vietnam can be executed successfully, and that there is growth potential for a university that can traverse the steep learning curve of this market effectively, and position itself as a leader in executive education in Vietnam, before barriers to entry grow higher for subsequent entrants. Market entry to Vietnam is not without significant challenges, but ultimately it can be successful and the marketing team has what it needs for a successful launch in Ho Chi Minh City. Desanctis, G. & Sheppard, B. (2010). Bridging distance, time, and culture in Executive MBA education. Journal of Education for Business. Vol. 74 (3) 157-160. Gerrard, P., Schoch, H. & Cunningham, J. (2007). Values and skills of female entrepreneurs in Vietnam: An exploratory study. Asia Pacific Business Review. Vol. 10 (2) 139-159. Gosiengfiao, I. (2009). Leadership development – building an EMBA brand in China. Management Training and Development in China. Routledge: London. Grady, B. (2010). Exploring the value of MBA degrees. Journal of Education for Business. Vol. 85 (1) 38-44. Gropper, D. (2007). Goes GMAT matter for Executive MBA students? Some empirical evidence. Academy of Management Learning & Education. Vol. 6 (2) 206-216. Hilgert, A. (1995) Developmental outcomes of an executive MBA program. Journal of Management Development. Vol. 14 (10) 64-76. Hilgert, A. (1998). Professional development of women and the executive MBA. Journal of Management Development. Vol. 17 (9) 629-643. Kobeissi, N. (2010). Gender factors and female entrepreneurship: International evidence and policy implications. Journal of International Entrepreneurship. Vol. 8 (1) 1-35. Roglio, K. & Light, G. (2009). Executive MBA programs: Development of the reflective executive. Academy of Management Learning & Education. Vol. 8 (2) 156-173. Schuster, C., Zimmerman, R., Schertzer, C. & Beamish, P. (1998). Assessing the impact of Executive MBA international travel courses. Journal of Marketing Education. Vol. 20 (2) 121-132. Siegert, K. (2010). Executive education: Predicting success in Executive MBA programs. Journal of Education for Business. Vol. 83 (4) 221-226. Swierczek, F. & Thai, T. (2003) Motivation, entrepreneurship and the performance of SMEs in Vietnam. Journal of Enterprising Culture. Vol. 11 (1) 47. Tho, T. (2013) Vietnamese economy at the crossroads: New doi moi for sustained growth. Asian Economic Policy Review. Vol. 8 (1) 122-143. Thompson, E. & Gui, Q. (2000). Hong Kong executive business students’ motivations for pursuing an MBA. Journal of Business Education. Vol. 75 (4) 236-240. "Marketing Plan for Vietnamese Business Essay." Aceyourpaper.com. Student Network Resources Inc, 21 February. 2017. Web. 18 April 2019. Student Network Resources Inc. "Marketing Plan for Vietnamese Business Essay." Aceyourpaper.com. 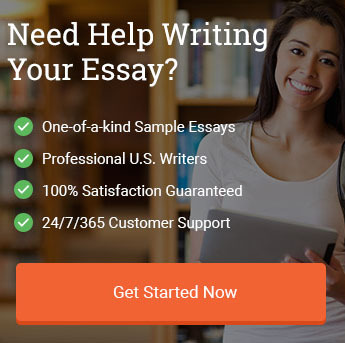 https://www.aceyourpaper.com/essay/marketing-plan-for-vietnamese-market-essay/ (accessed April 18, 2019).